A new study shows that TMS and Psychotherapy combined is more effective than either technique alone. A recent study published in the international journal ‘Brain Stimulation’ looked at 196 patients and found that after an average of 21 sessions, 66% of patients with treatment resistant depression responded well to TMS and Psychotherapy, with lasting effects after 6 months in 65% of this group. A large study by Donse, Padberg, Sack, Rush and Arns 1), carried out in the Netherlands has investigated the effects of combining brain stimulation (rTMS) with concurrent psychotherapy in treatment resistant depression. The results of this study suggest that a combined approach is more clinically effective than if either therapy was delivered alone. 66% of the patients in this study responded positively to the combined therapy (i.e. symptom decrease of more than 50%), while 56% of the total sample achieved remission (meaning that they no longer met criteria for depression). Follow-up after 6 months demonstrated that 65% of the patients still had benefit from the initial course of treatment, which suggests that the effects are durable. On average patients received 21 treatment sessions. The results of this study are published this month in the leading international journal: Brain Stimulation. 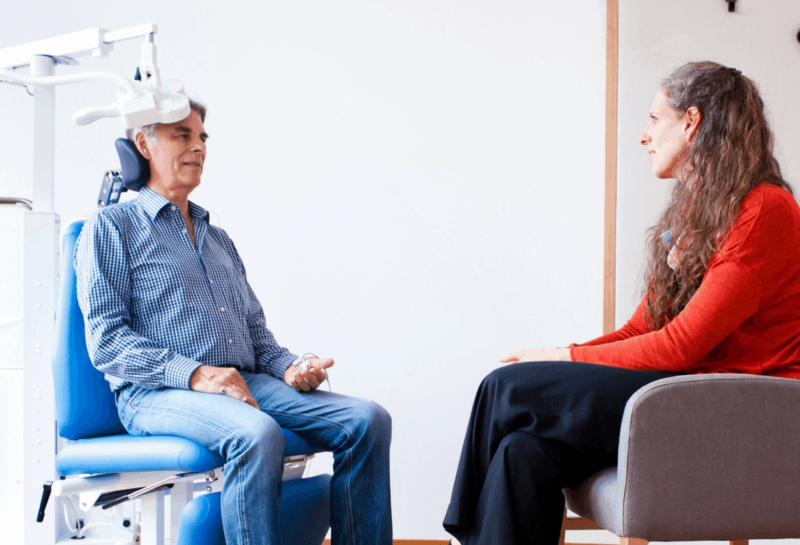 Studies show that when either rTMS or Psychotherapy are conducted as a monotherapy, an average of 30-40% of patients achieve remission, clearly less than the 56% remission achieved with the combined treatment of TMS and psychotherapy. Similarly, it is widely known that ‘psychotherapy and drugs’ combined show better outcomes, however this approach often requires two separate treatment programs and specialists, i.e. a Psychiatrist to deliver medications and a Psychologist to deliver Psychotherapy. A combined approach of Psychotherapy at the same time as brain stimulation, can be performed by one clinician and is shown to be more efficient, and above all, a more effective treatment for treatment resistant Depression. The efficacy of TMS as a monotherapy (i.e. conducted without individual psychotherapeutic support) is recognized throughout the world as a valid treatment for Depression and is furthermore supported by FDA approval in the United States, and is recognized by NICE in the United Kingdom. Since 2011, Health Insurance providers in The United States, and more recently, in The Netherlands, reimburse rTMS treatment for treatment resistant depression. 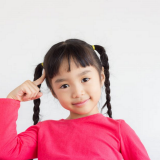 How does rTMS and Psychotherapy work in combination? Research has shown that depression is linked to disrupted communication in a specific network of brain structures including the frontal cortex (dorsolateral prefrontal cortex (DLPFC)) and the deeper anterior cingulate (sgACC). rTMS focuses specifically on the DLPFC and indirectly stimulates the sgACC transsynaptically, as demonstrated in previous research on NCG-TMS 2). Psychotherapy is understood to also activate the deeper sgACC in this network (among other areas) more directly. It is therefore seen that concurrent application of these techniques then activates a larger part of a malfunctioning ‘depression network’, with higher clinical efficacy. 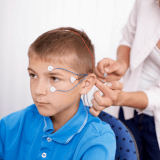 neuroCare is a global brand in neuromodulation, active in research training in medication-free applications of TMS and Neurofeedback for mental wellness. neuroCare operates therapy centers all over the world, with clinics now open across Sydney and Melbourne.